Do you remember that smile you had when you were a child? For whatever reason, it just seems to fade over time. For a variety of reasons, your teeth change color, alter their shape, and often fall out altogether. Because of these factors, and many others, you need to consider cosmetic dentistry to return that smile you used to be so proud of. Your dentist in Charlotte can do that for you. As you begin this process, consider the following seven reasons that cosmetic dentistry is so worthwhile to you today. You were born without teeth. This much you know. In fact, just when you were getting used to your first set of teeth that began to come in after a few years, they started to fall out one by one. Not to fear, your adult set of choppers began to come in one by one to the point that you finally had a full set of teeth that you could be proud of. For some adults, these teeth stay straight and properly aligned throughout much of their life. For the rest of us, cracks, stains, and even missing teeth often enter the equation. This creates a sticky situation, particularly when trying to remain confident out in public. This is precisely where porcelain veneers can come in to save the day, and your dentist in Charlotte can demonstrate how. A porcelain veneer is made to resemble the very teeth that you grew up with. They serve as an effective way to take away chips and abrasions that have resulted over time, perhaps from a trauma to the mouth or a lack of proper hygiene. The veneers can help you to regain that perfect smile once again by recreating the look you had when you were a child. They can even be put into place in such a way that those unsightly gaps that have developed between your teeth no longer appear to be there. The veneers are natural looking and others will not even notice that they are there. This is a valuable function of cosmetic dentistry. It is designed to restore the natural look of your mouth in a way that does not detract from your own beauty. For this reason alone, you will want to give cosmetic dentistry in Charlotte a try. Over time, teeth fade far from their original bright white color. This is troubling to many people, particularly those who take considerable pride in their appearance. If you are out to the public, stained teeth can make you uncomfortable when you smile, leading to a diminished level of self-confidence. Teeth whitening is a form of cosmetic dentistry in Charlotte that can restore your smile almost to its original condition. With many questions surrounding the procedure, it is helpful to go over a few of the finer details in relation to this procedure. This will lead to your smile makeover, so make sure you read over these guidelines carefully to learn how teeth whitening can be of benefit to you. When a cosmetic dentist performs a tooth whitening procedure, patients can expect better results in comparison to products available over the counter. This is because a dentist in Charlotte can effectively eliminate many of the external stains that appear on the teeth that other remedies simply cannot accomplish. You will not need several visits to the dentist either. Many times, one two-hour procedure is all you need to notice noteworthy results. You will then be provided with some bleaching tray gels to take home to continue the process on your own. Do keep in mind that teeth whitening procedures can only be performed on natural teeth. If you have lost your teeth for any reason, there are other cosmetic dentistry approaches that can work for you. If you have ever had a toothache, you are aware of the immense pain that you can be under. In fact, a simple toothache can make other parts of your body hurt as well, particularly your head. This can lead to chronic health issues, all because you have not gone to see a cosmetic dentist determine what the root of the problem might be. If your teeth are not aligned properly, for example, headaches and severe tooth pain can result. Your teeth cannot become straight on their own, so you will need a dentist in Charlotte to look. Alternatively, you might have developed crooked teeth over time. This ends up putting a great deal of pressure on your gums and nerves, which will, in turn, send pain straight to your head. This is a natural defense mechanism that the human body employs, and it can lead to some pretty long days and nights until you get the problem corrected. Cosmetic dentistry in Charlotte can you help straighten out your teeth, correct your bite, and get rid of those headaches once and for all. This will bring about the relief that you have been craving for quite some time. When many people begin to lose their great smile, they also begin to lose interest in their overall oral health. The two simply seem to go hand in hand. If you do not take much pride in the shape that your teeth are in, you might stop brushing and floss as you should. This can lead to a spiral effect that will cause many more oral problems down the road. Cosmetic dentistry in Charlotte can give you that smile makeover that you have been desiring, which will then increase the care that you show your own teeth in the end. It is undeniable that cosmetic dentistry requires a bit of an investment. However, this is an investment in yourself. It is about your health and well-being, so it is certainly in your best interest to take care of any teeth, gum, or jaw problems as they occur. Getting procedures done early on will help minimize the possibility of even bigger problems down the road. When you make this investment, along with it comes the added motivation to make your smile makeover last as long as possible. You will do what it takes to keep the great looking results that your dentist in Charlotte was able to achieve for you. This often involves staying away from sugary drinks, coffee, junk food, and other items that are known to stain your teeth. This will also have the added benefit of improving your overall state of health. Gum disease can be a major issue. This leads to a great deal of pain, and it can really impact the state of your smile over time. Cosmetic dentistry is proven effective at warding off the risk of gum disease and helping to return your smile to its natural state. Teeth that are cracked or otherwise damaged are more susceptible to decay than healthy, natural teeth. Decaying teeth puts you at risk for gum disease, and this is when you will need to see a dentist in Charlotte right away. There are times when gaps begin to develop between the teeth. These gaps make it difficult to eliminate food and harmful bacteria from the mouth with brushing and flossing alone. Not only do these gaps take away from your great smile, they also make it difficult to keep your gum line healthy and pink. If you do not take care of this issue, gum disease is an almost certain reality at some point in the future. To keep this from happening, you can consider the addition of porcelain veneers to fill in those gaps. That is just one of the many options that cosmetic dentistry in Charlotte affords to you. A similar problem can occur when your teeth are misaligned. It simply becomes too difficult for your toothbrush to get everywhere it needs to be. To minimize your risk of gum disease, you simply must consider having a cosmetic procedure performed. Not only will you receive that smile makeover you have been hoping for, your gums will become much healthier as a result. A lot has been talked about relating to stress in recent years. As life has become more technological, it has also become increasingly fast-paced. If you want to keep up, you need to have the energy level and the confidence to compete with those around you. While we would all love to live stress-free lives, it seems that so few of us are able to accomplish it. Believe it or not, our own oral health plays a vital role in this. If you are not happy with your smile, it will cause you stress. If you are living in constant pain, both in your mouth and elsewhere, that stress will become exacerbated. The list can go on and on. Cosmetic dentistry in Charlotte can help minimize the stress in your life by providing you with a smile makeover that you can be proud of. First impressions are truly lasting impressions. If you want to make a great first impression on someone, it begins with your smile. Think about attending a job interview. You want to be at your best, and you want to flash a that big smile of yours when your prospective employer first greets you. If your teeth are crooked or misaligned, you will hesitate to do this. You will even feel a great deal of stress as a result. If you are not happy with your teeth, you might even avoid meeting new people just to avoid having to smile. If you are ready to decrease the amount of stress in your life, begin by focusing on your teeth and giving them the tender loving care that they deserve. Much can be said for a confident, radiant smile. If you are not able to flash yours at will, you might very well be suffering from a lack of self-confidence. It is amazing how much emphasis we humans place on a smile. You want to make sure that your teeth are as white and as straight as possible. This is not about winning a beauty contest; rather, it is about demonstrating the pride that you have in your own mouth. This is confidence at its finest. Talk to your dentist in Charlotte to learn what cosmetic dentistry procedures can benefit you and turn your smile into one that you can be proud of once again. Once you do that, you will find your self-confidence begin to soar as well. You owe this to yourself. As you have read, there are many reasons to consider cosmetic dentistry today. Advancing technology has made many of these procedures possible with far less recovery time than people ever had even hoped for in the past. You can be well on your way to better oral health and a brighter smile in no time at all. All it takes is for you to take that first step of talking to a dentist specializing in this area. You might think that there is nothing that can be done to correct your smile, but you would be surprised. 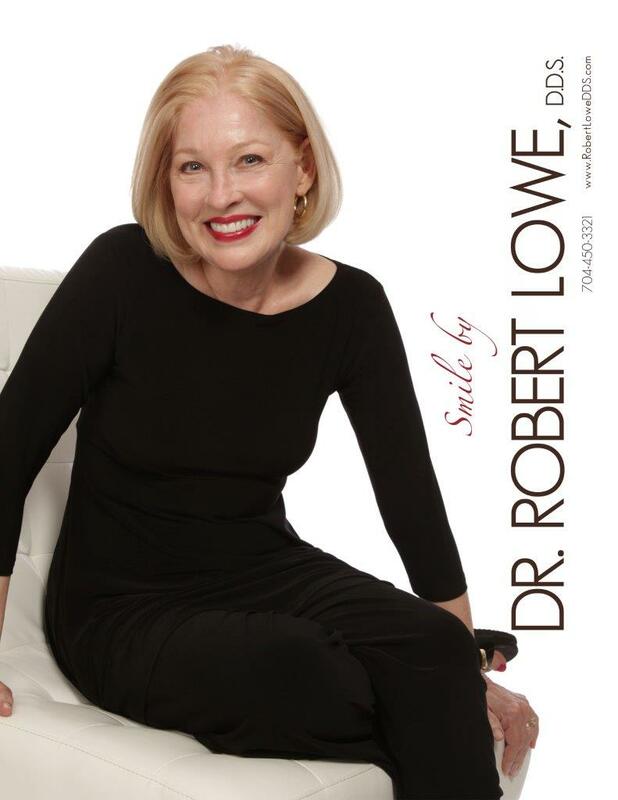 Cosmetic dentistry in Charlotte has come a long way in the last few decades, so allow it to be put to work for you. 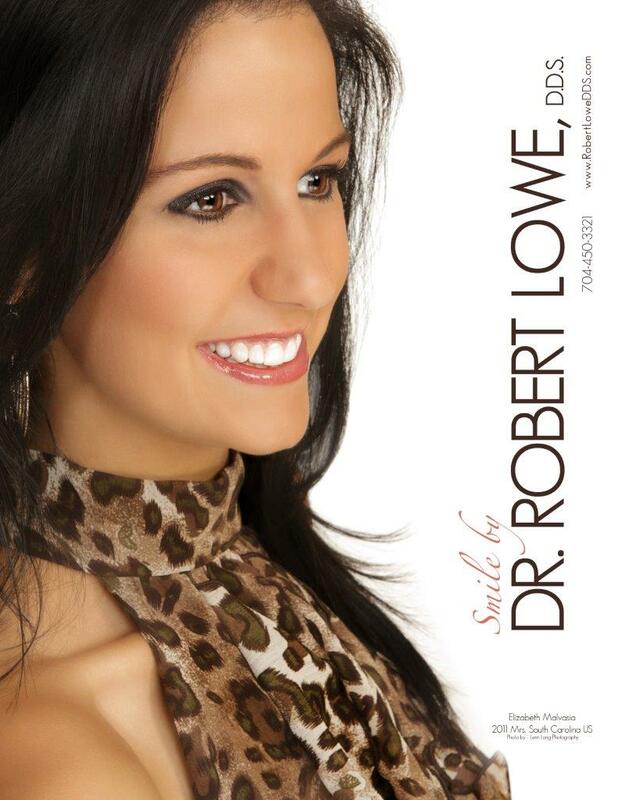 Contact Robert Lowe, DDS at 704-450-3321 for all your cosmetic dentistry needs in Charlotte. You can also learn more by filling out our online contact form on our Contact page.